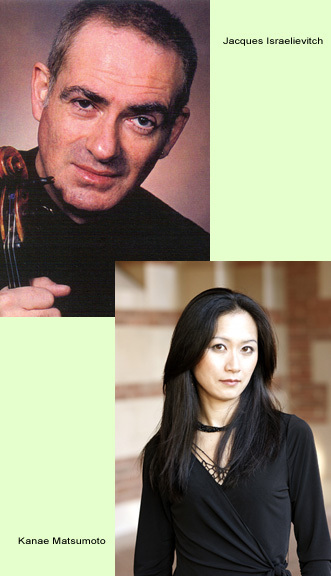 Evening of violin sonatas by French composers performed by French violinist Jacques Israelievitch. Born in Cannes, France and currently residing in Toronto, Canada, Mr. Israelievitch is recognized as one of the most distinguished performing artists in North America and abroad. He is joined by aspiring pianist, Kanae Matsumoto, whose performance was described as “unfailingly crisp, warm and sensitive” (showtimemagazine.ca). The program contains pieces influenced by French Impressionism and American jazz: full of colors, rhythm, and fun!